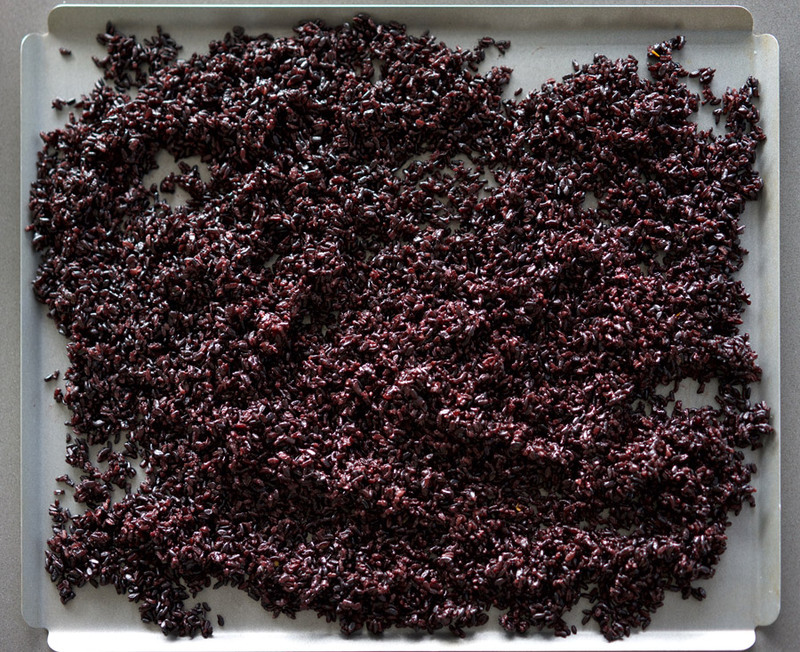 Have you tried Forbidden Rice? At one time in China it was reserved for royalty alone, which is how it got its name. It seems those emperors were onto something—black Forbidden Rice has more powerful antioxidants, fibre and protein than both red and brown rice. Not only is it good for you, it tastes great and looks striking, especially when set off by the gorgeous mango and orange in this recipe. Make it on a Sunday afternoon, pack and enjoy for heathy lunches during the week. After cooking the rice, spread it out on a baking sheet to make it easier to evenly drizzle the dressing over. It also helps speed up the cooling process. 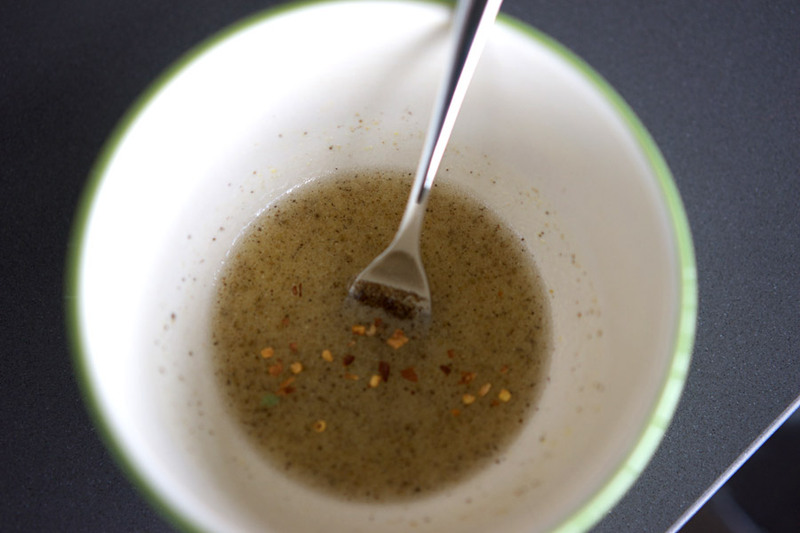 The dressing is a simple mix of lime and orange juice with olive oil and some chilies, salt and pepper. Depending on the season, I like to change up some of the vegetables a bit. For hot summer weather like we’ve seen in Toronto the past few weeks, I like to go with cucumbers and cilantro. When it gets a bit cooler, I switch the cucumbers up for roasted beets, cutting up some of the beet greens to mix in as well. 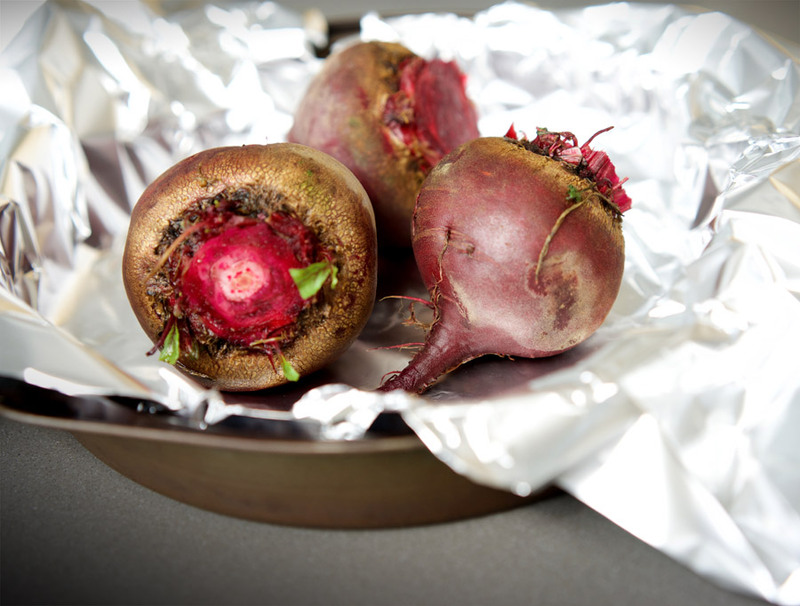 To roast the beets, wrap in foil and bake at 400° for about 1 hour, until a knife slides through easily, cutting off the outer skin after roasting. 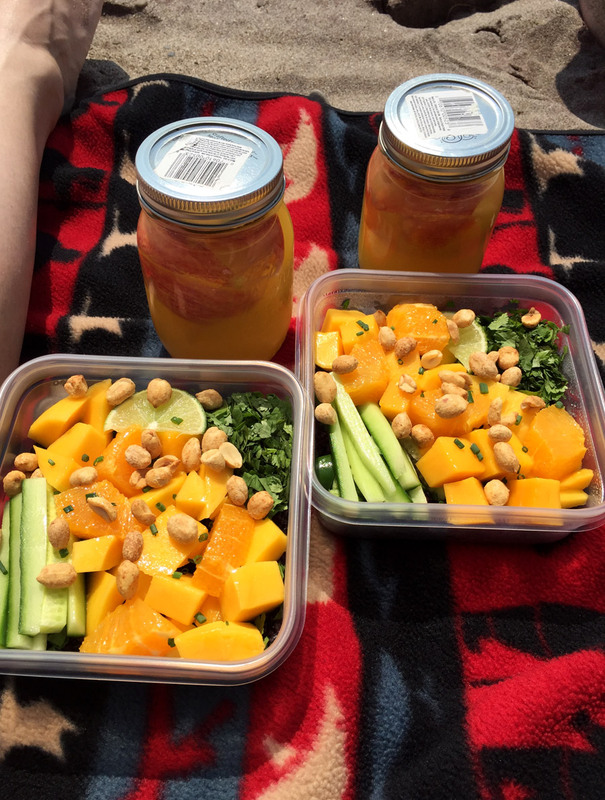 Also makes for a killer picnic salad to take along to the beach! 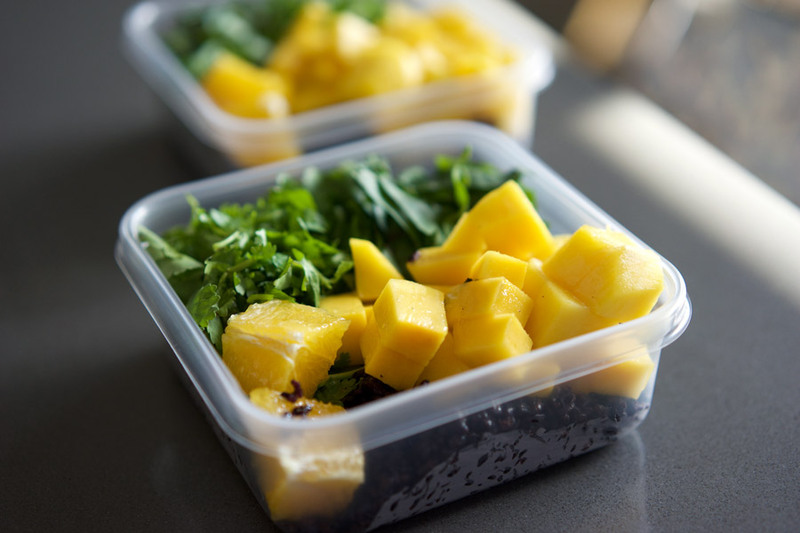 This recipe was inspired by the Black Rice Salad with Mango and Peanuts via Epicurious. Lush mango and bright citrus top healthy and delcious "forbidden" black rice with cilantro and a few other crunchy vegetables. Topped with dry roasted peanuts and spicy peanut sauce, this is a great portable lunch feast great for a summer picnic or working lunch. Bring rice and 2 3/4 cups water to a boil in a large saucepan. Season with salt to taste. Cover, reduce heat to low, and simmer for about 25 minutes, until liquid is absorbed and rice is tender. Remove from heat and let stand, covered, for 15 additional minutes. Slice top and bottom from orange, cutting through the peel and pith to reveal the fruit. Working top to bottom, slice the peel and pith from the sides of the orange. Cube orange, discarding the centre pith and any seeds. Combine lime juice, orange juice, oil and dried chiles in a small bowl. Season with salt and pepper to taste. Whisk to blend. Reserve orange cubes. Spread rice onto a rimmed baking sheet and drizzle the juice dressing over the rice, stirring to coat. Season with additional salt if required. Divide rice among four plastic lunch containers. Top each container with cut up mangoes, cilantro leaves, jalapenos, cucumber and roasted beets and sliced beet leaves if using. Drizzle evenly with peanut sauce. Wrap peanuts in plastic wrap or wax paper. Pack separately and sprinkle onto salad immediately before eating, to ensure they remain crunchy.